My first blog…golly gee wiz…the pressure! OK Neil (if infact that is your real name ((I have been advised to consider blogging anonymously in case I piss anyone off or get fired from my job)) just start writing. Writing is something I have never really done before other than the occasional email or apologetic late birthday message to a close family member. Take that first sentence for example, can you actually do that with brackets? Have brackets inside brackets? I keep looking back at that first sentence and I am sure that I need to add another closing bracket to it but then there would be three brackets at the end which surely is just wrong? So I think what I am trying to say is that I’m no Giles Coren or Rudyard bleedin’ Kipling. I am a cook or if you prefer, a chef. Definitely not a writer. So apologies in advance for all the grammatical errors and speiling mistakes (funny aren’t I). I say cook or chef as I am most definitely not one of those guys or girls that gets all up in your face if you refer to them as a cook rather than a chef. I cook professionally and have done for 20 years now, ever since I left school not knowing really who I was or what to do with my life. Kitchens have been my life since then and through them and the people I have met and worked with along the way, I have developed a genuine passion for food and a love of traveling. Call me a cook or a chef, I am a food lover first and foremost. Why am I writing then? Well a couple of friends and family members suggested I blog after reading my hilarious emails to them. So here I am, and thank you for reading. What shall I write about? Well I guess food and travel would be a good start. I know a bit about both as for the majority of my career I have been using my skills in the kitchen to enable me to travel. Not so much, working to save money and then holiday but more like getting chef jobs in foreign countries. Lots of ski seasons working in chalets and more recently I have been cooking for the owners of private yachts in all kinds of exotic places. I am writing this from the comfort of a bar in French Polynesia having just finished work for the day. ‘Well Jels’ aren’t you. Stunning scenery everywhere you look and fantastic weather all year round. Anyway, before you start hating me too much I say it’s awesome, but if I am honest, after being here for a few months now, it is getting a little boring. The main things to do here are diving (which I can’t) and surfing (which I won’t) so that just leaves eating and drinking which fortunately are two of my favorite pursuits. I was pleasantly surprised to discover that there are infact a lot of great restaurants here to try out. So what can you come to expect from my random musings? Well I have been told by a few people that I should focus my blog on something specific so as to attract a readership who are interested in the same thing and also so it is easier for those people to find on the interweb. I think I am just going to go with the flow and post whatever comes into my head. Ideas so far are restaurant reviews, recipes to go with the food photos, general chat about traveling and maybe some helpful (hopefully) advice and thoughts for those who are interested in maybe doing some of the stuff that I have done. So watch this space for some of the above. I will end this blog with something that made me smile today. 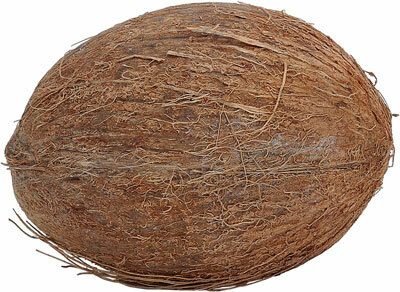 I was in the local Carrefour supermarket and while in the fruit and veg section, I think I managed (in very bad French) to explain to a small child that a coconut was infact a monkey egg. “Une noix de coco est un oeuf de singe”. It’s the little things that brighten my day. Next Friday night BBQ…what could possibly go wrong?